Every parents and students are expecting the class suspensions announcement on Monday, August 19, 2013. 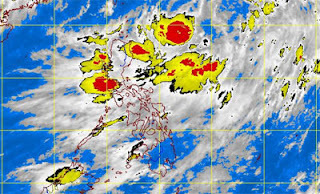 Due to the bad weather caused by southwest monsoon and increased by Tropical Storm Maring. Class suspensions issued on the following cities listed below. PAGASA said, "Tropical Depression " MARING " has maintained its strength as it moves in an Eastward direction for the past six hours"
For more details about Class suspensions, please kindly bookmark and visit this website regularly, like our Facebook page, follow us on Twitter, add us on Google+, and/or subscribe to our daily news feed via RSS or Email. Comments or suggestions about "Class Suspensions on August 19, 2013 | Monday #Walangpasok " is important to us, you may share it by using the comment box below.